We are a leading Wholesale Trader of anti snoring sona pillow and u snooz neck pillow from New Delhi, India. As a quality-oriented organization, we are focused to provide our clients excellent quality OSIM Pillow Anti Snoring Pillow. Designed with utmost precision, the offered pillow is manufactured using optimum quality raw material and advanced technology. Used for treating snoring and mild obstructive sleep apnea, our offered pillow undergoes various tests under the direction of quality controllers, in order to ensure its faultlessness. This pillow gives incredible support so you can have a peaceful rest. FDA (US) approved for treating snoring and mild obstructive sleep apnea. The study also found that sleep interruptions fell from 17 per hour to less than 5. Patented design promotes comfortable side sleeping. Side sleepers snore less, breathe better. 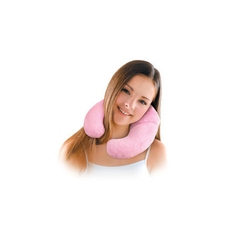 With the constant support of our dexterous crew of professionals, we are fulfilling the varied requirements of clients by offering optimum quality OSIM U Snooz Neck Pillow that is designed with better neck support in mind. It is manufactured by our vendors highly experienced designers from the premium grade raw material, at par with the market prevalent norms. In order to ensure quality of this pillow, our quality controllers perform a series of test on various parameters. Further, we provide the entire range in customized options, as per the needs of our esteemed clients. With ultra plush uSnooz Neck Pillow, you can wake up feeling more refreshed and recharged. Designed to conform to the contours of your head and neck, the memory foam in the uSnooz Neck Pillow gives incredible support so you can have a peaceful rest. 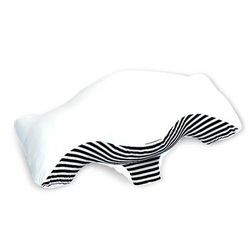 Relish in the aftermath of a good nap as the uSnooz Neck Pillow recharges you and banishes stiff necks. Feel the uSnooz difference today. Taking a short nap is an excellent way to recharge you for the day. With the uSnooz Neck Pillow, you don't have to sleep on your arms anymore. The uSnooz Neck Pillow's comfortable neck support relaxes muscles in the neck, head and shoulders so that the entire body and mind is able to experience deep relaxation for a better nap. Travel wake up feeling like you've been sleeping in your own bed. Use the uSnooz Neck Pillow to catch on beauty sleep and power naps in transit. Perfect as in-cabin travel pillow for overnight flights. Looking for Pillow Anti Snoring Pillow ?